This year marks the last release of a Naruto Shippuden title. Developer CyberConnect2 has been making Naruto games since the PlayStation 2 era, but now that the Naruto manga is finished, they are ending their popular series of games. The first Naruto title CyberConnect2 made was Naruto: Ultimate Ninja, released back in 2003 for the PlayStation 2. The studio continued to make Naruto titles until this year’s Naruto Shippuden: Ultimate Ninja Heroes 4, which is getting an expansion pack called The Road to Boruto early next year. 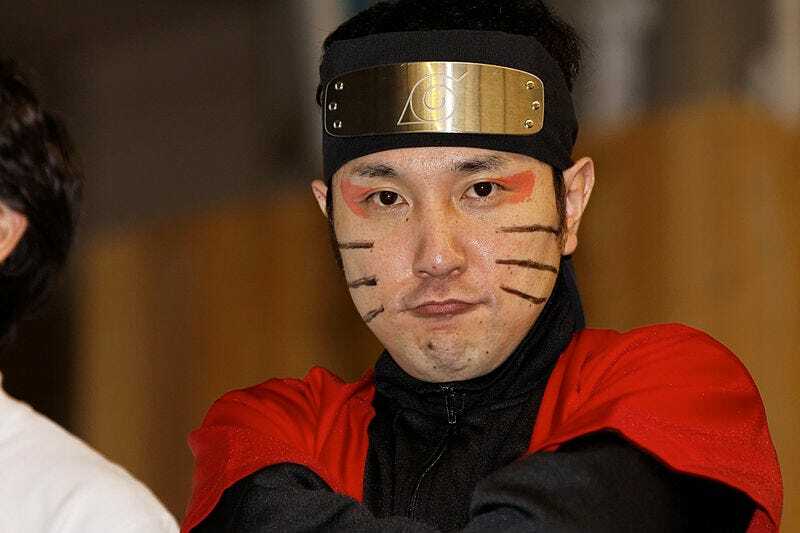 In past interviews and roundtables I’ve done with CyberConnect2 boss Hiroshi Matsuyama, he would appear in full Naruto garb (above, for example). Some studios make popular manga and anime into games, but Matsuyama seemed to relish it. During a roundtable earlier this month at Namco Bandai headquarters, Matsuyama talked about how this was the last Naruto Shippuden game. He didn’t appear dressed as the character, which was somewhat surprising. I asked him how he found out the Naruto manga was ending. Surely, though, making Naruto games for all those years and then seeing the manga end must have been hard, no? While Boruto is Naruto’s son, he is not Naruto. If the character really takes off, don’t be surprised if CyberConnect2 has games to follow up the upcoming Boruto expansion. Or if we eventually do get eventually another Naruto game from CyberConnect2. I know I won’t be.